BizInt Smart Charts for Patents can build charts from search results from the Derwent Innovation service. Images are not currently exported. Confirm that you are running BizInt Smart Charts for Patents 3.4.6 or later. Run your search in Derwent Innovation and view your Patent Result Set. 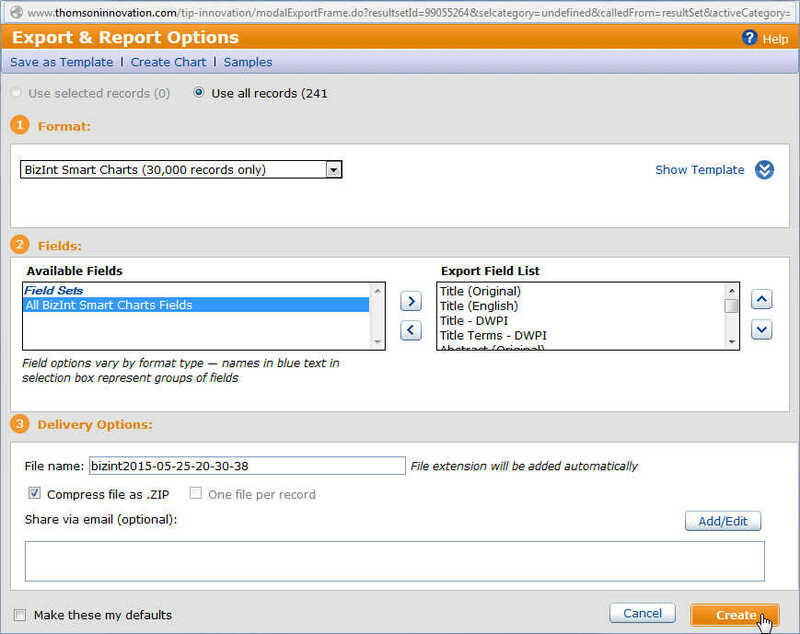 Select the "Exports & Reports" option on the "Downloads" tab. 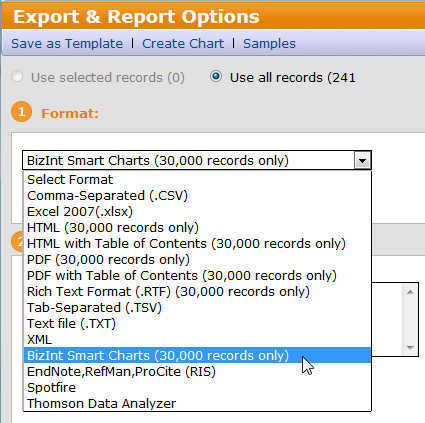 On the Format drop-down menu, select the "BizInt Smart Charts (30,000 records only)" file format. Leave the field options "All BizInt Smart Charts fields", change the file name if you wish, and keep the "Compress file as .ZIP" box checked. Click "Create." 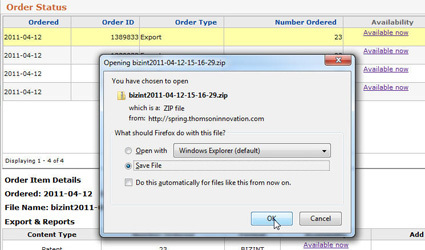 Once your export appears as "Available now", click the link to save the .zip file. You must save the .zip file and import the file into BizInt Smart Charts for Patents.